"Very genuine, though not without the typical mannered extravagance of the eighteen-nineties, is the strain of horror in the early work of Robert W. Chambers, since renowned for products of a very different quality. 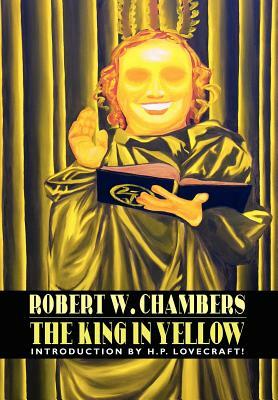 The King in Yellow, a series of vaguely connected short stories having as a background a monstrous and suppressed book whose perusal brings fright, madness, and spectral tragedy, really achieves notable heights of cosmic fear in spite of uneven interest and a somewhat trivial and affected cultivation of the Gallic studio atmosphere made popular by Du Maurier's Trilby. The most powerful of its tales, perhaps, is The Yellow Sign, in which is introduced a silent and terrible churchyard watchman with a face like a puffy grave-worm's." -- From the Introduction by H.P. Lovecraft.